Looking for a quick and easy breakfast that is healthy and gives you a great dose of Omega-3’s? Well look no further! 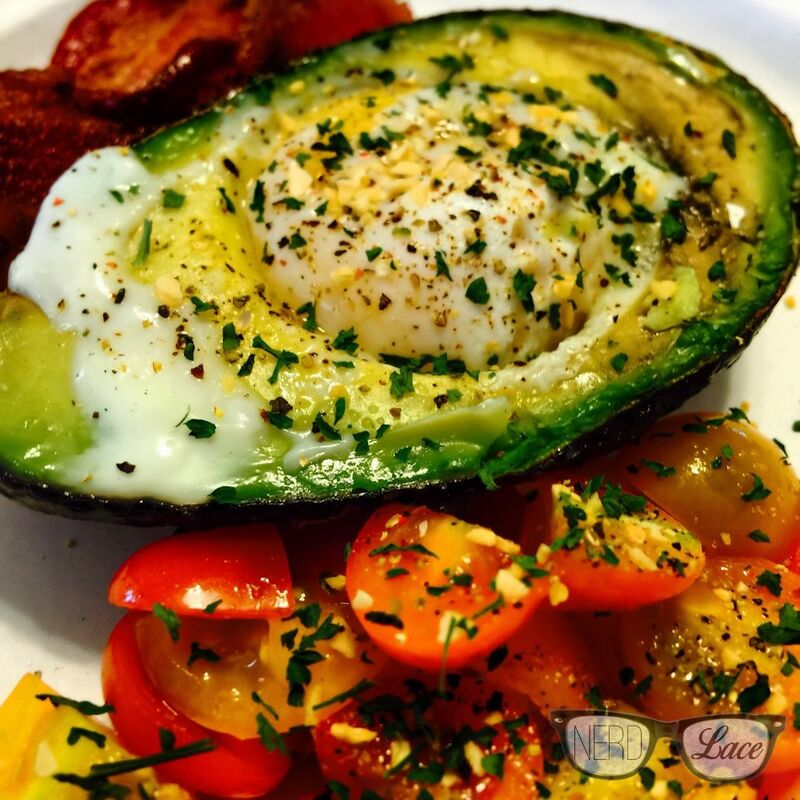 This egg in avocado cup is DELISH. So obviously, I didn’t come up with this recipe idea, I’ve seen it in magazines, social media, etc. a lot lately, so I finally decided to try it and it is seriously awesome, it feels luxurious, like something that would be served at a spa. Seasoning: coarse salt, cracked black pepper, garlic powder, parsley flakes (all to your liking). It’s really simple to make, preheat your oven to 450 degrees. Then just halve and remove the pit from the avocado. Place them on a baking sheet. Crack an egg into each avocado hole; tip: if your avocado has a small pit you might need to scoop out some of the meat out so that an egg will fit. Season to your liking and bake for 10 minutes, this will provide you with a runny yolk, cook a little longer (about two more minutes) if you like your yolk slightly more firm. I served this up with two sides: fresh grape tomatoes that were halved and seasoned the same as the egg, and potatoes from my previous recipe for The Perfect Potatoes. Doesn’t it look amazing? If you make this or any of my recipes, show them off on social media. Use the hashtag #nerdandlace. Don’t forget to check out my past recipes, and also follow us on Instagram, Facebook, Twitter, and Pinterest.